'Enter. Or turn back. This is Erebos. 'Nick is given a sinister but brilliant computer game called Erebos. The game is highly addictive but asks its players to carry out actions in the real world in order to keep playing online, actions which become more and more terrifyingly manipulative. As Nick loses friends and all sense of right and wrong in the real world, he gains power and advances further towards his online goal - to become one of the Inner Circle of Erebos. But what is virtual and what is reality? How far will Nick go to achieve his goal? 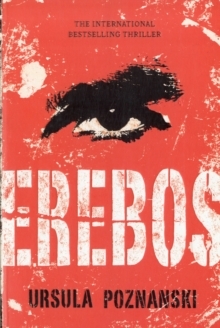 And what does Erebos really want?Enter Erebos at your own risk. Exciting, suspenseful and totally unputdownable.